September’s box was illustrated by wondrous Natasha Durley! A avid user of colour and texture; we knew Natasha would illustrate a winning box. If you want to read more of Natasha’s process you can read our interview with her here. In fact, we have a whole plethora of Natasha all over the blog, click the links below to check them out! 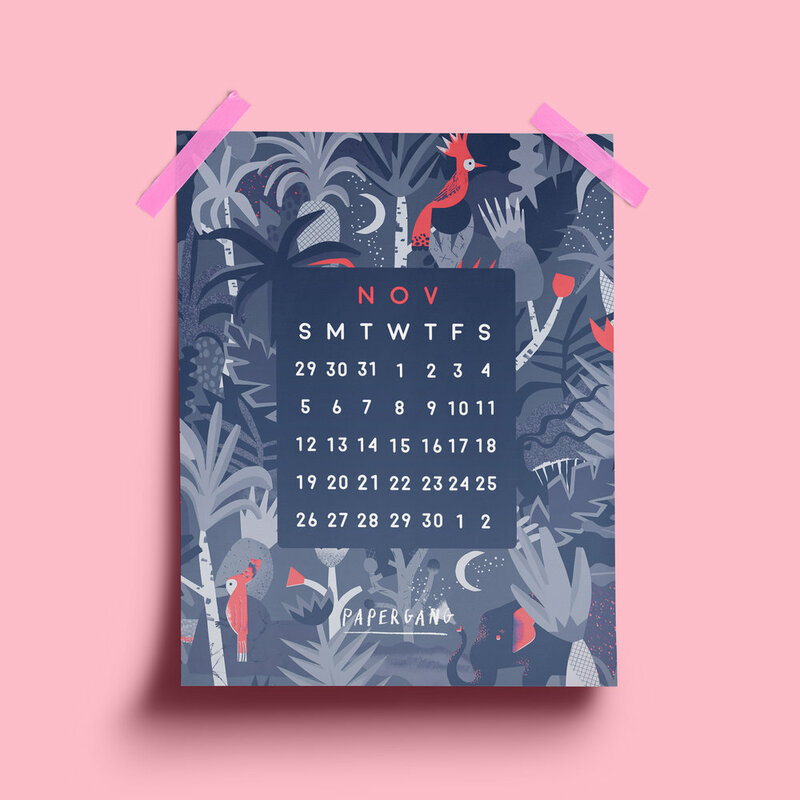 Stay organised this November with the calendar that was in our Papergang boxes below. Simply download the file and print it out. Share your calendars with us over on Insta using #papergang. Feel like you missed out on Natasha's Papergang? Grab the box over on ohhdeer.com or get signed up! Treat yourself eh?